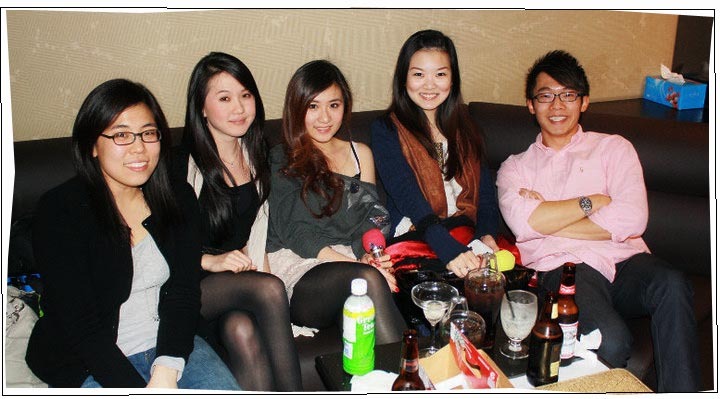 I went out on Friday night to meet up with my law mates. We thought the Law Ball was a little bit expensive, so we thought we'd do a little Law Ball-replacement outing(s) instead. So Friday night was one of our attempts. We had dinner at a Japanese restaurant in Chinatown, then went to Partyworld for karaoke. It wasn't at all as awkward as I thought it would be! Everyone was a real sport about singing, and I had such a lot of fun laughing and singing with everyone else. I didn't wear anything fancy, but I just wanted to show you the beautiful blouse that I wore that night! You can't see it in the picture, so I found a picture of it on the model to show everyone. Get it here for AUD 13.90. I had so much fun. We should do this again!